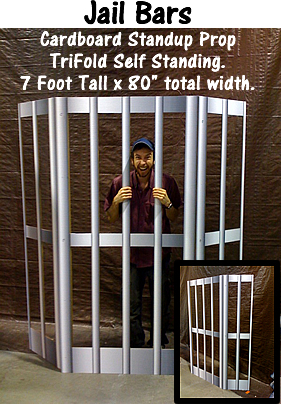 Jail Bars Cardboard Cutout Standup Prop - Dino Rentos Studios, INC. This self-standing tri-fold prop is great for photo-ops, stage productions, or interactive events! Manufactured in 5 business days. Expidite service available -- select above.